Our trained technicians use a specific set of tools to carefully remove dents without the need for expensive body shoppping. 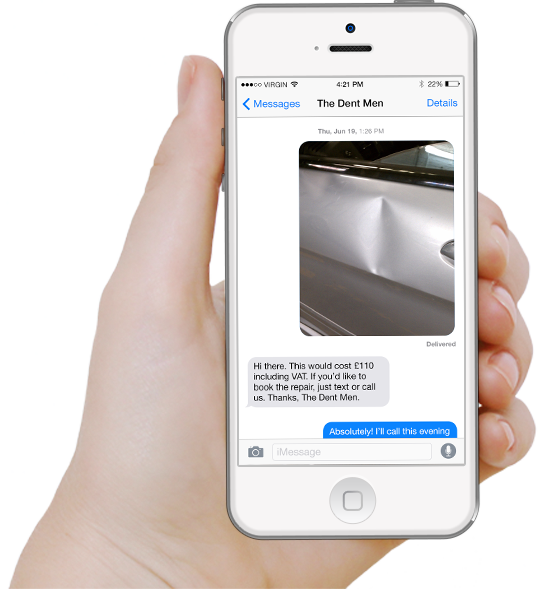 The quickest way to get a quote is to take a picture of the damage on a smart phone, and text it to us. We’ll text back within 24hrs with an accurate quote! There’s lots of reasons why paintless dent removal is so often a better solution than going to bodyshops or SMART repairers. Let us give you a few of them. Paintless Dent Removal (PDR) is a technique adopted by industry specialists to remove small dents, dings and minor creases from automotive bodywork. We come to you at your home or office and carry out all work on site so that you don’t have to lose your vehicle to a bodyshop for days on end. We can fix the dent while you get on with your day, causing the least amount of disturbance to you. 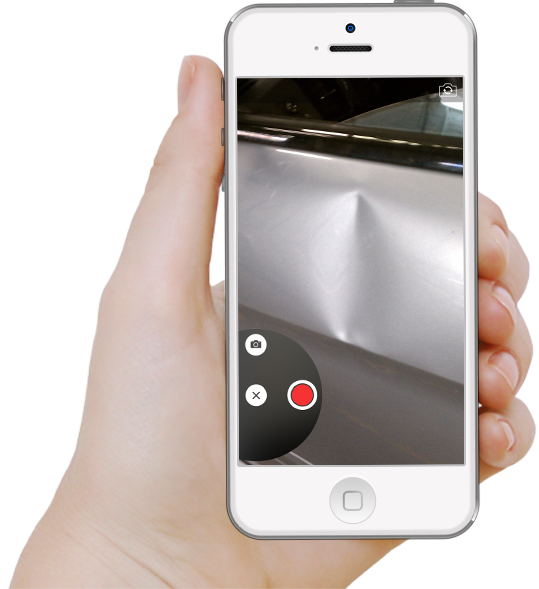 Paintless dent removal is considerably cheaper than using a bodyshop. 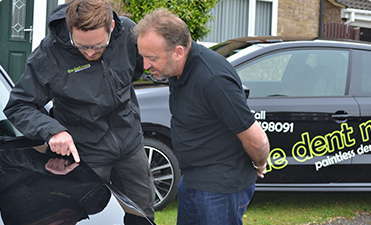 On average, dent repairs can cost as little as £60 and can generally be fixed within one hour. The same damage may require a bodyshop to paint the whole panel and cost considerably more. Our technicians do not use any fillers or paint. The dent is carefully removed from metalwork meaning that paintless dent removal is a permanent solution to repair damage. 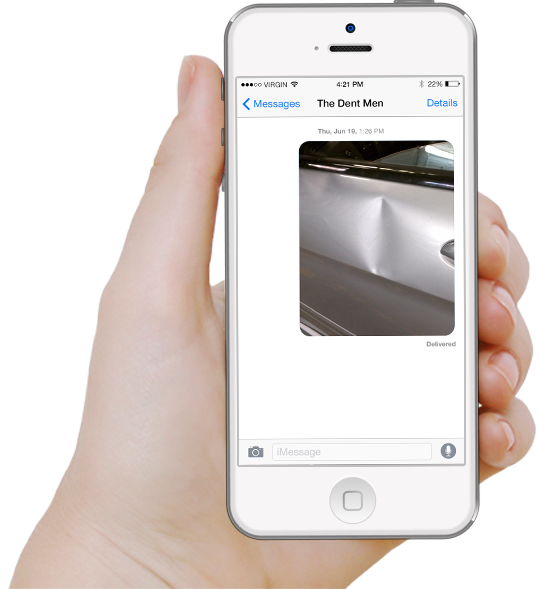 When the dent is fixed it will be undetectable and will not return. Step 3: We’ll get back to you within 24 hours with an accurate quote! We will assess your case and get back to you with an accurate quote. If this is acceptable we can then arrange an appointment. Our aim is to ensure that our customers are 100% satisfied with the repair and service provided. Our high standards and exceptional quality of work are what we pride ourselves on. Couldn’t be more pleased with the final result. Bodyshop quoted £800 and The Dent Men did a perfect job for £95! Aaron came to my office and fixed the dent whilst I continued my working day and the dent has been completely removed. He was only there for an hour and was extremely professional. I was skeptical because of the price difference but after speaking to the technician it makes perfect sense. Couldn’t be happier with the result and don’t have to worry about filler cracking. I dented my bonnet and a bodyshop quoted £1800 to repair and paint both wings and the bumper (to blend colour in). The Dent Men saved me £1600. Couldn’t recommend them highly enough.